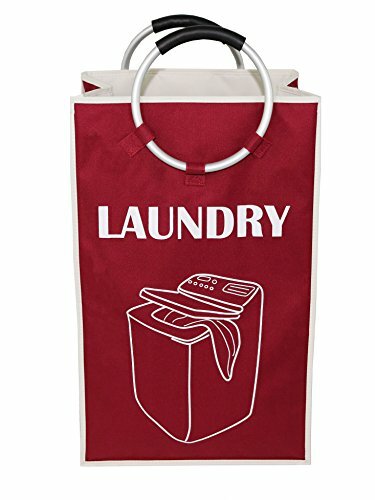 Foldable Laundry Bag with Handles, Pop Up Hamper with Aluminum Handles, Heavy Duty, Easy to carry, great for Home, College Dorm or Travel. Lightweight and Easy to carry, durable and Heavy Duty Material. Great to use as a Freestanding Hamper or Laundry Transporter for your Home, College Dorm or Travel use. Dimension: H: 22.75", L: 15", W: 10.25" (Approx.) Only 1.75 Lbs. If you have any questions about this product by Essentials by Yoshi, contact us by completing and submitting the form below. If you are looking for a specif part number, please include it with your message.